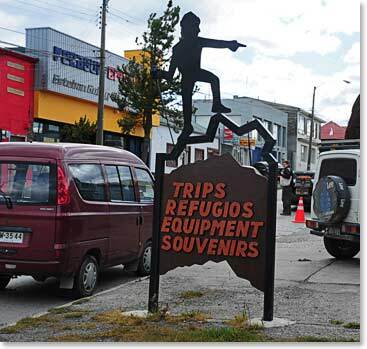 On Sunday afternoon we drove north from Punta Arenas. 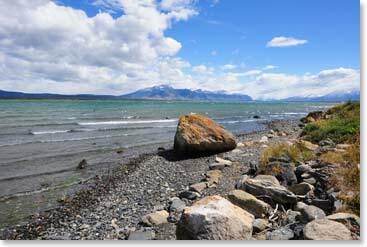 We covered the 240 kilometers across the pamas of southern coastal Patagonia that lie between the cities of Punta Arenas and Puerto Natales quickly and easily. The road was in excellent condition and it was virtually empty. This is sheep country. The giant estancias, or ranches, that brought the Croatian, Spanish and British immigrants to this land long ago still define the lonely beautiful landscape. 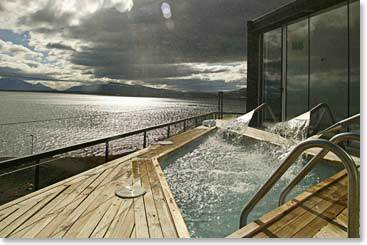 Two and one half hours after we left Punta Arenas, we found ourselves in an eco-tourist backpackers’ paradise, Puerto Natales. 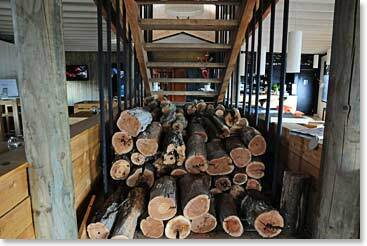 Part Key West, Florida, part Jackson Hole, Wyoming, this funky mountain seacoast resort has beauty and is surrounded by a natural wildness that is unsurpassed anywhere in the world. 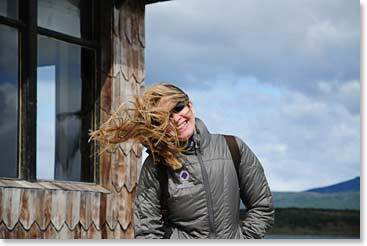 The wind in our faces, the sight of glaciers a short distance across the water, the comfort of the lodges and the apparel of visitors and locals – Puerto Natales is one of the Gore Tex centers of the universe – made us feel right at home. 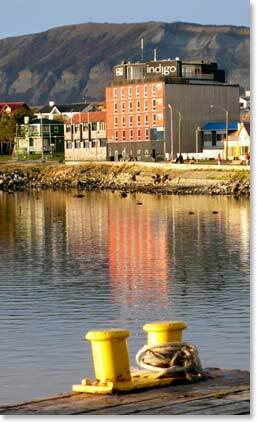 Puerto Natales, 51 degrees south, in a land of glaciers, mountains and wild coastlines. 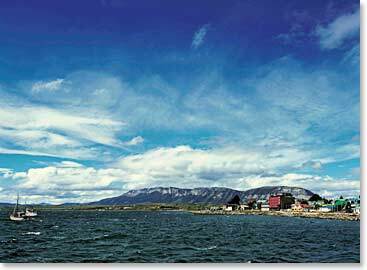 The town is surrounded by wild natural beauty including changing Patagonian skies. Leila quit fighting the wind and decided just to enjoy it! 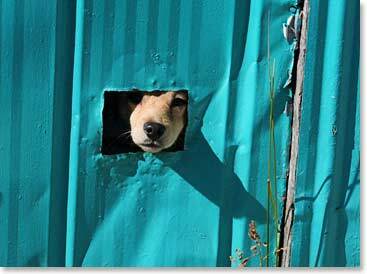 We saw a dog who had found a protected spot to survey the world but stay out of the wind. 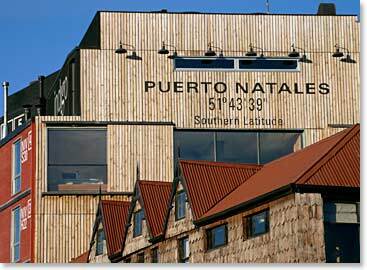 Like many towns surrounded by wild and imposing nature Puerto has brightly painted houses. 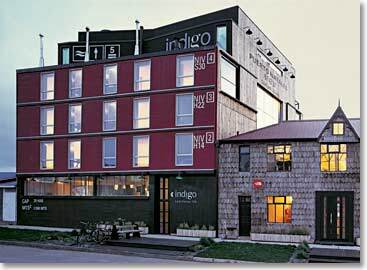 We wished we could have stayed longer, but this town is a gateway. On Monday we moved on to Argentina and Los Glaciares National Park.